What business licenses does a small business need? The following are just some of the business licenses/permits that you may need when starting a small business: “doing business as” (DBA) registration (usually filed at the county level), city and/or county business license, fire department permit, sign permit, health department license, and liquor, wine and beer licenses. Your state and local government (city and/or county) usually provides business licenses. The best way to find a Reno or Las Vegas attorney or lawyer to help you start a Nevada corporation, a Nevada limited liability company (LLC), or other Nevada business is to click here: www.AttorneyGuide.com. What legal aspects do I need to consider? Licenses required, zoning laws, and other regulations vary from business to business and from state to state. Your local Small Business Administration (SBA) office and/or Chamber of Commerce will provide you with general information, but you will most likely need to consult an attorney for advice specific to your enterprise and area. You must also decide about your form of organization (corporation, partnership, or sole proprietorship) and tax status (e.g., should you opt for Subchapter “S” status?). The best way to find a Reno or Las Vegas attorney or lawyer to help you start a Nevada corporation, a Nevada limited liability company (LLC), or other Nevada business is to click here: www.AttorneyGuide.com. Businesses that use a name other than the owner’s must register the fictitious name with the county as required by the Trade Name Registration Act. This does not apply to corporations doing business under their corporate name or to those practicing any profession under a partnership name. For more information, contact your state or local government. The best way to find a Reno or Las Vegas attorney or lawyer to help you start a Nevada corporation, a Nevada limited liability company (LLC), or other Nevada business is to click here: www.AttorneyGuide.com. What are the advantages of forming a limited liability company? An LLC is generally considered advantageous for small businesses because it combines the limited personal liability feature of a corporation with the tax advantage of a partnership or sole proprietorship. Profits and losses can be passed through the company to its members, or the LLC can elect to be taxed like a corporation. LLCs do not have stock and are not required to observe corporate formalities. Owners are called members, and the LLC is managed by these members or by appointed managers. The best way to find a Reno or Las Vegas attorney or lawyer to help you start a Nevada corporation, a Nevada limited liability company (LLC), or other Nevada business is to click here:www.AttorneyGuide.com. What should I know about forming a corporation? This is a complex business structure with more startup costs than many other forms. A corporation is a legal entity separate from its owners, who own shares of stock in the company. It can be created for profit or nonprofit purposes, and may be subject to increased licensing fees and more government regulation than other forms. Profits are taxed both at the corporate level and again when distributed to shareholders. Shareholders are not personally liable for corporate obligations unless corporate formalities have not been observed. Observing such formalities provides evidence that the corporation is a separate legal entity from its shareholders. Failure to do so may open up the shareholders to liability of the corporation’s debts. Corporate formalities include: issuing stock certificates, holding annual meetings, recording the minutes of the meetings, and electing directors or ratifying the status of existing directors. 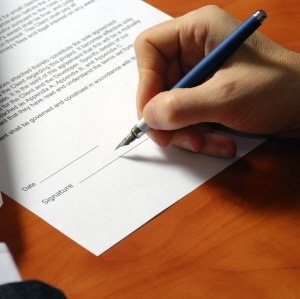 You are advised to always use the assistance of a qualified attorney when forming a corporation. The best way to find a Reno or Las Vegas attorney or lawyer to help you start a Nevada corporation, a Nevada limited liability company (LLC), or other Nevada business is to click here:www.AttorneyGuide.com. What is the advantage of forming an “S” Corporation? The structure of an “S” Corporation is identical to the “C” Corporation in many ways, but offers avoidance of double taxation. If a corporation qualifies for Subchapter S status with the IRS, it is taxed like a partnership: the corporation is not taxed, but the income flows through to shareholders that report the income on their individual returns. The best way to find a Reno or Las Vegas attorney or lawyer to help you start a Nevada corporation, a Nevada limited liability company (LLC), or other Nevada business is to click here: www.AttorneyGuide.com. (1) a closely held corporation and (2) a personal service corporation? Generally, a closely held corporation is a corporation that, in the last half of the tax year, has more than 50% of the value of its outstanding stock owned (directly or indirectly) by five (5) or fewer individuals. Generally, closely held corporations are subject to additional limitations in the tax treatment of items such as passive activity losses, at-risk rules, and compensation paid to corporate officers. A personal service corporation is a corporation where the main work of the company is to perform services in the fields of health, law, engineering, architecture, accounting, actuarial science, the performing arts, or consulting. Examples are law firms and medical clinics. Also, most all of the stock is owned by employees, retired employees, or their estates. The best way to find a Reno or Las Vegas attorney or lawyer to help you start a Nevada corporation, a Nevada limited liability company (LLC), or other Nevada business is to click here:www.AttorneyGuide.com. Are partners considered employees of a partnership or are they self-employed? Partners are considered to be self-employed. If you are a member of a partnership that carries on a trade or business, your distributive share of its income or loss from that trade or business is net earnings from self-employment. Limited partners are subject to self-employment tax only on guaranteed payments, such as salary and professional fees for services rendered. The best way to find a Reno or Las Vegas attorney or lawyer to help you start a Nevada corporation, a Nevada limited liability company (LLC), or other Nevada business is to click here:www.AttorneyGuide.com. When starting a new business, be sure that you are preventing problems and making sure the business is protected against potential trouble. While most corporations will use a Nevada attorney to help with the process of incorporation, new businesses sometimes neglect the on-going legal requirements to maintain their corporation status. Annual shareholder, director and partner meetings need to be held, and recording of minutes and election of officers must conform with state requirements. Failure to do so could jeopardize corporate status and result in “piercing of the corporate veil” in the event of a lawsuit or other legal action, exposing corporate officers to personal liability or other legal problems. The best way to find a Reno or Las Vegas attorney or lawyer to help you start a Nevada corporation, a Nevada limited liability company (LLC), or other Nevada business is to click here: www.AttorneyGuide.com. Many intangible assets of a business should be legally protected when starting a business. A company’s name, logo, brand name and distinctive goods and services are entitled to copyright protection. Proprietary computer software, semiconductor chip mask designs, vessel hull designs and many other creations may be eligible for trademark registration. Patents are often thought to cover only machines and other manufactured products, but can also protect processes, such as a method for refining petroleum, or new compositions of matter, such as chemical compounds or mixtures. Trademark, copyright and patent registrations can help a business protect the things that give it a competitive advantage in the marketplace. The best way to find a Reno or Las Vegas attorney or lawyer to help you start a Nevada corporation, a Nevada limited liability company (LLC), or other Nevada business is to click here: www.AttorneyGuide.com. Many companies, especially technology companies, count the knowledge of their employees as some of their most important assets. Yet they fail to protect those assets through non-disclosure and non-compete agreements with their employees. Inevitably, some employees will leave the company, and it is important to protect your business against their taking their knowledge of trade secrets with them over to the competition. The best way to find a Reno or Las Vegas attorney or lawyer to help you start a Nevada corporation, a Nevada limited liability company (LLC), or other Nevada business is to click here: www.AttorneyGuide.com. Entrepreneurs sometimes are so focused on starting a new business that they do not consider what happens if one of the principals leaves the business. When a partner or major shareholder decides to suddenly exit, it can potentially threaten the ability of the business to continue operating. Closely held corporations need to have buy-sell agreements or buy-back agreements to ensure that partners or major shareholders can sell their interest without legal entanglements or placing an undue financial burden on the company. What about the cost of dealing with all these issues? Good lawyers are not cheap, but then again neither is any other consultant critical to your business. A brief consultation with a Reno or Las Vegas, Nevada, lawyer can often determine what a business’ legal needs are. An investment of a lawyer’s time can help prevent major problems down the road. 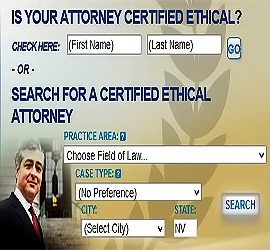 The best way to find a Reno or Las Vegas attorney or lawyer to help you start a Nevada corporation, a Nevada limited liability company (LLC), or other Nevada business is to click here: www.AttorneyGuide.com.